There are plenty of poker players in Sweden but the country has been monopolizing on the game for a myriad of years. Recently, a new law has passed and they will now allow international online poker operators to get a license to operate in the country. With the new licensing law, residents will not enjoy world class poker gaming from international sites. This means that Svenska Spel will not be the sole provider of online poker gaming. This new law will come into effect from next year. As Scandinavian and Norway countries continue with their framework on strict laws on gambling, Sweden has decided to take the bold step of being liberal when it comes to gambling. Gamblers in Sweden have been pushing for legalization of online poker as well as other options for a long time now. In 2013, the European Union Commission criticised the country for their monopoly. The commission realized that Sweden had violated a couple of EU laws. This was lack to comply with a law that said that the countries in the EU should allow for overseas operators to be able to acquire licenses. This is one of the reasons Norway is firm with their decision since they are not part of the EU. It has however taken long for Sweden to lift their ban that will allow the operation of international poker sites. Svenska Spel will on the other hand proceed with their operations until 2019 when the law will come into effect. 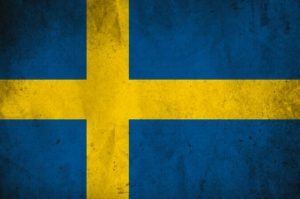 Authorities have allowed the licensing of online poker sites in Sweden after they realized that it would be hard for them to enforce monopoly laws with the multiple internet workarounds. This is after they also learnt that some platforms like PartyPoker, 888Poker and Pokerstars have being used by Swedish players even with the ban. With the ban, the officials also realized that having unregulated gambling activities prevailing in Sweden will raise the levels of criminal activities in the country. Liberalising gambling laws will come a long way in helping to resolve or minimizing these incidents. As for the applications, International poker providers will be able to apply for these licenses from the 1st of August. Sites that get their licensing approved will be levied 18% tax on their income. This tax will not apply to Svenska Spel which is expected to continue with operations and remain popular among the residents. This entry was posted on Tuesday, July 24th, 2018 at 9:12 am and is filed under Poker News. You can follow any responses to this entry through the RSS 2.0 feed. Responses are currently closed, but you can trackback from your own site.